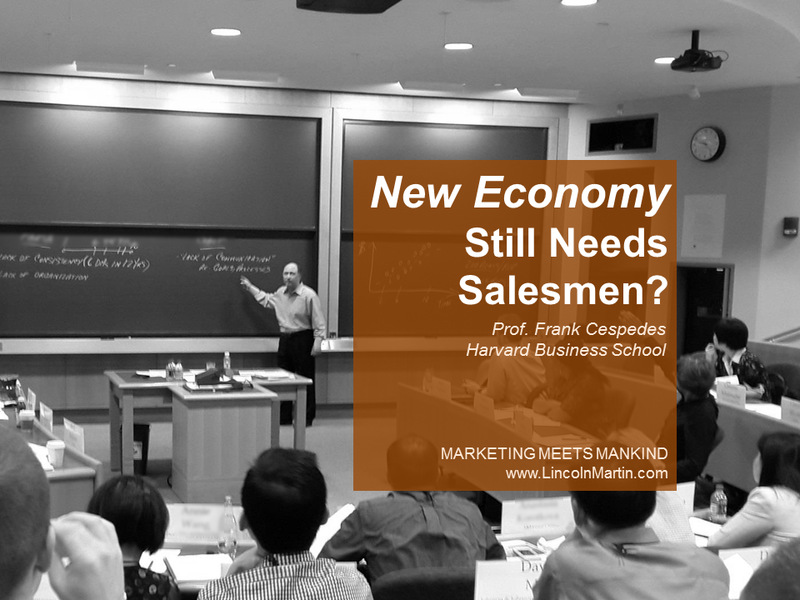 Frank Cespedes is one of the best and most creative senior lecturer at Harvard Business School. He’s the leading authority on strategy, sales and marketing. Frank is one of our best mentor. Lincoln Martin would like to thank Prof. Frank Cespedes as he share valuable topics and latest data on “new economy”, digital revolution (growth hacking), consumer advertising and sales alignment. The research is an eye opener for growth hackers, social innovators and marketing professionals. It’s easy to see why many people are surprised. Online retail sales in the U.S. are now nearly $300 billion. That may sound like a lot, but it’s just 6 percent of total retail sales. And like every other technology trend in history, the growth rate has started to decrease and flatten out. In the top 30 consumer-goods product categories (which account for 97 percent of total e-commerce sales), online growth rates of more than 100 percent annually just a decade ago have slowed to 10 to 15 percent over the past few years. Projections indicate that e-commerce’s share of retail spending (about half of which, by the way, goes to the online adjuncts of brick-and-mortar retailers) will be less than 20 percent by 2030. So, a lot of people may “like” a Facebook entry and tweet frequently. But 140 million people actually buy stuff at Walmart weekly, and that one retailer sells more annually than all websites combined. Contact Frank on Twitter @fvcespedes.